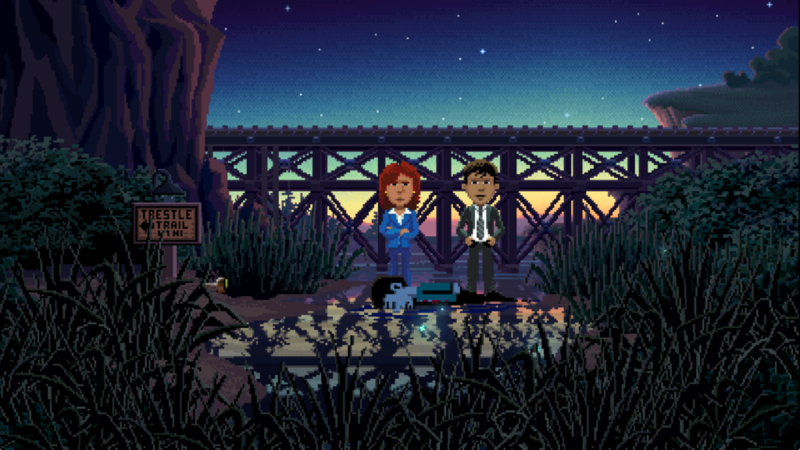 Thimbleweed Park is an unexpected surprise in 2017. It’s not only an excellent adventure game that’s reminiscent of the good old point and click adventures of the late 80s, it’s also easily one of the best games I played this year. Witty writing, an intriguing story, and a strong cast really bring to life the murder mystery set in Thimbleweed County. It wears its inspirations, like Maniac Mansion and Monkey Island, proudly on its sleeve while delivering well beyond the expected nostalgic gameplay. You play as a detective duo tasked with investigating a murder mystery in a town that seems conspicuously normal at the start. Pretty soon you are introduced to a wide array of characters, serious and goofy, with tons of clever and funny dialogue choices. 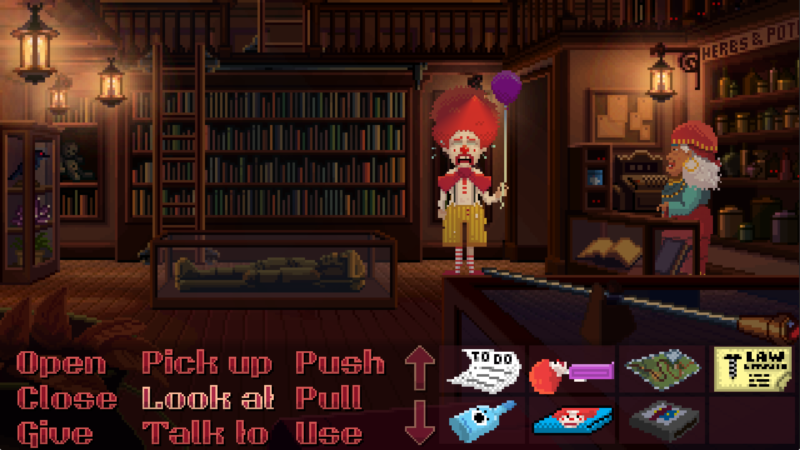 Thimbleweed Park breaks the fourth wall just a few minutes into the game, but does it so well that you feel compelled to go down the rabbit hole with it, clicking the dialogues choices until they are exhausted. 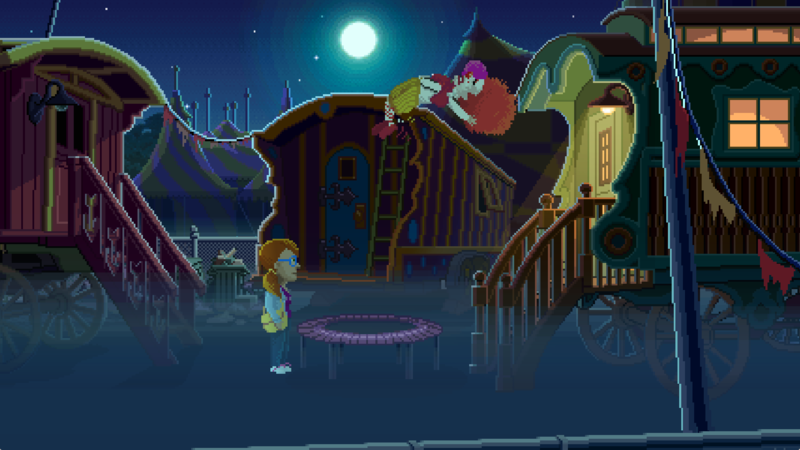 There are constant references, both to other adventure games and to that era of games, and they never get old or stale. The story itself goes on for a considerable amount of time, and even puts you in the shoes of wacky characters, and it’s really enjoyable to play their stories, and take part in optional activities otherwise irrelevant to the main plot. The attention to detail, and the lovingly crafted narrative makes every moment spent engaging with it totally worth it. The gameplay and presentation is also really great, doing away with tiresome traditional elements and tweaking in modern ones. Both your characters – and any others you play as – have to do lists which always give you a list of things you can do next to progress the story. The menus, interactions and interactive items are all neatly presented, and navigating it was never a hassle even with a controller. Rarely when I felt like I was stumped, looking around a bit would make the solution clear. If you wish to, you can play in the ‘Easy Mode’, but it effectively cuts down some of the puzzles, and I wouldn’t recommend it. Playing as multiple characters, and solving puzzles that involved two or three of them at a time is really fun and immensely satisfying. 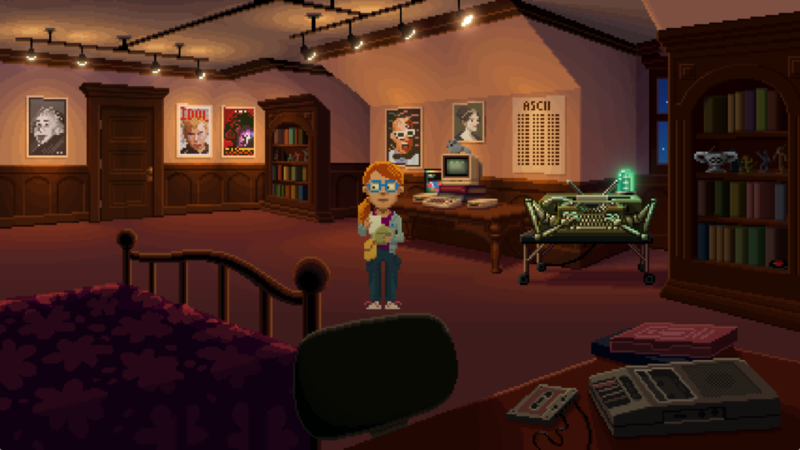 Thimbleweed Park also looks really great, with beautiful backgrounds and tons of detail in the environments. It looks like a lived in town, and the people here talk like they’ve been here for years, selling the setting in a compelling manner. The writing is excellent, and is complimented by the voice acting. 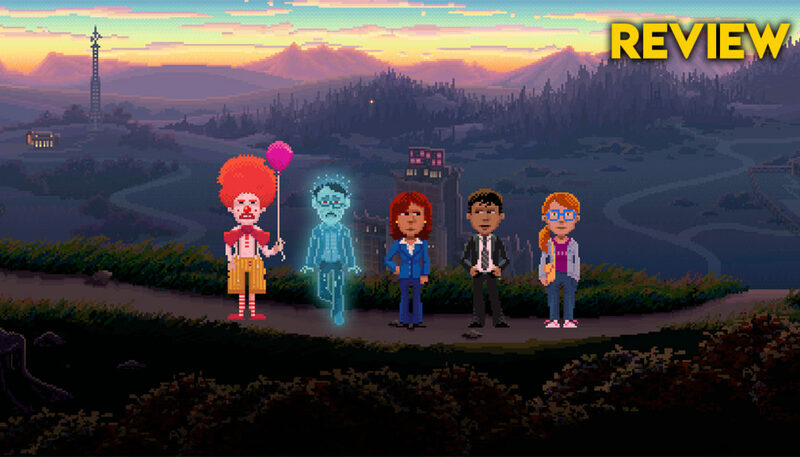 With over 15 hours of gameplay, Thimbleweed Park is a must play in 2017. It reminds me of the best parts of the older adventure games, while being a great experience for newcomers to the genre.